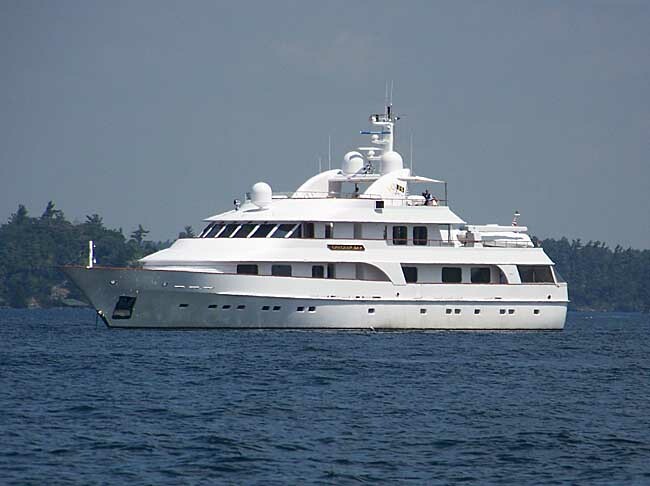 Luxury motor yacht CRACKER BAY (ex Campbell Bay), was launched in 2002 by Hakvoort Shipyard of the Netherlands and measures 44,58m (146,3ft) in length. 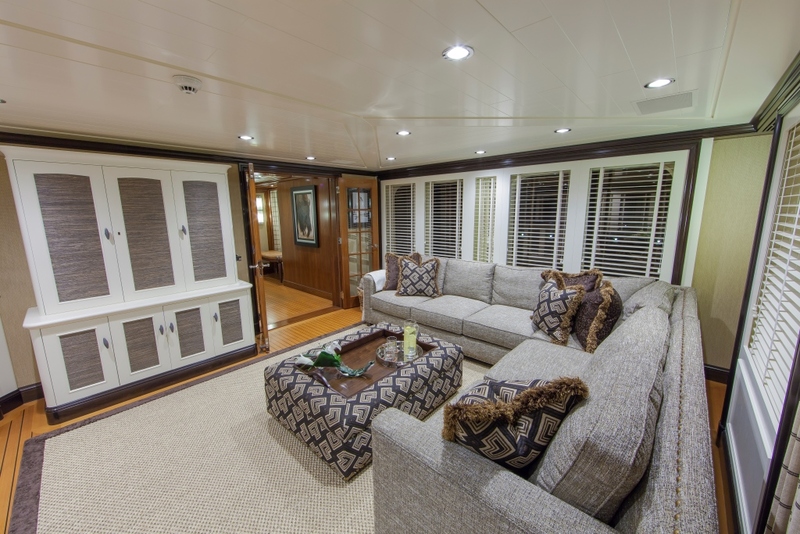 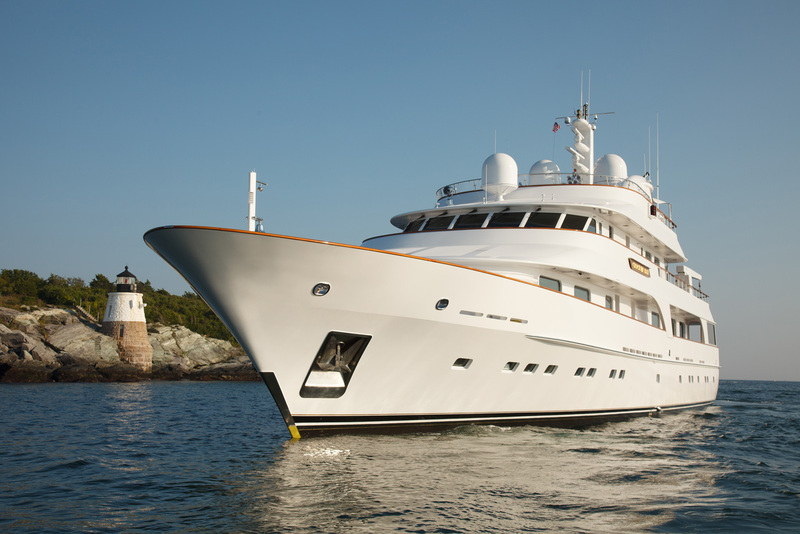 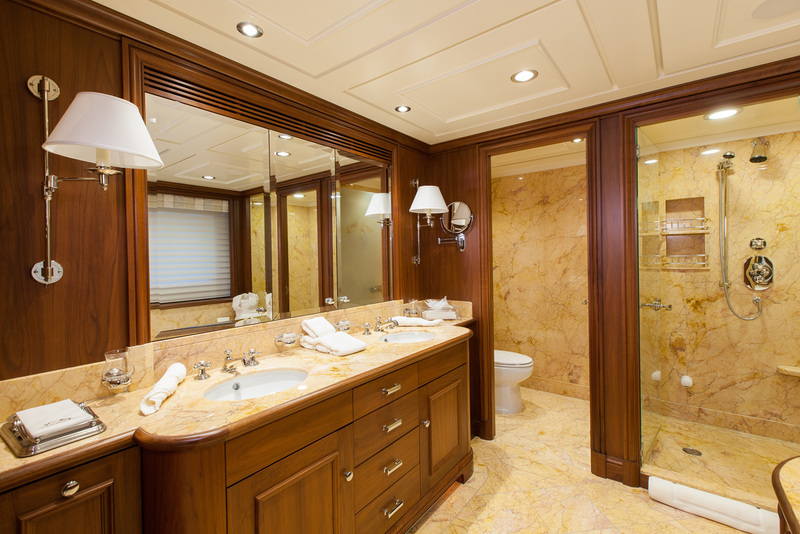 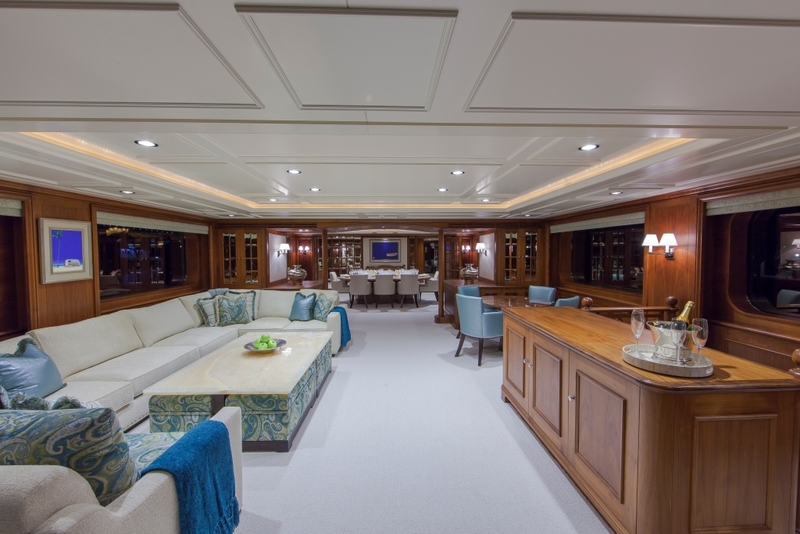 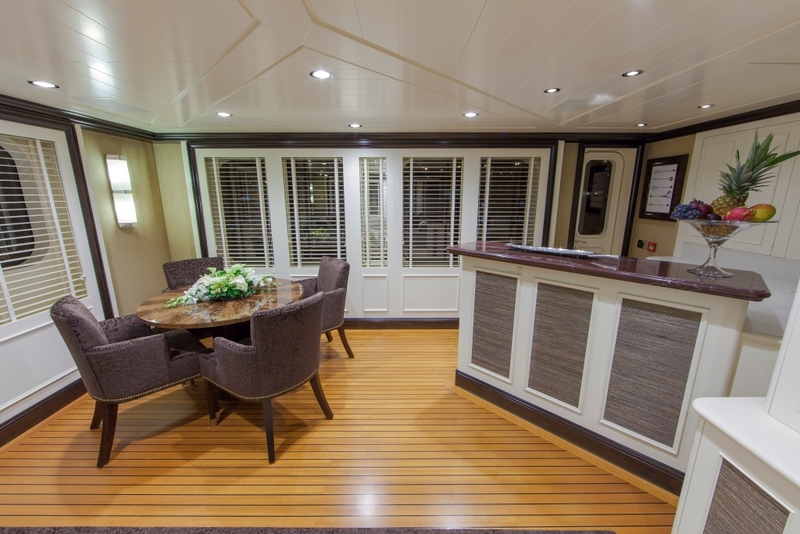 M/Y CRACKER BAY received an extensive refit in 2015. 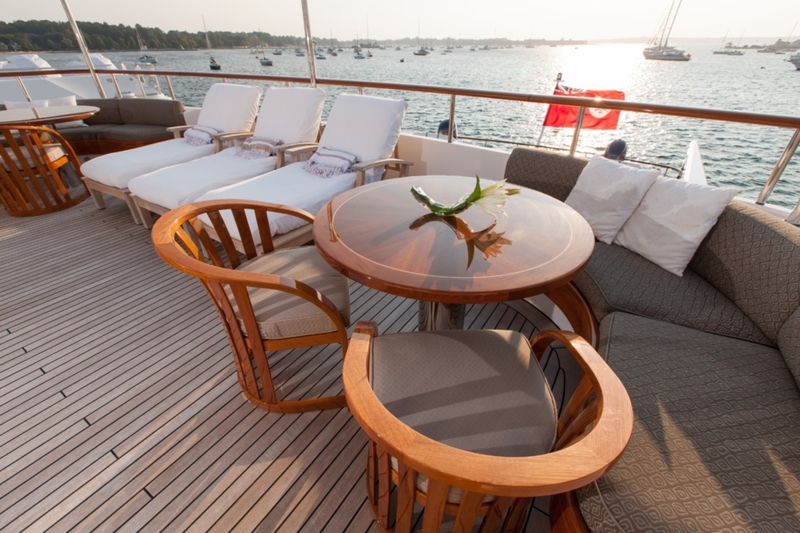 The yacht offers stylish accommodation in 6 cabins, for up to 12 charter guests. 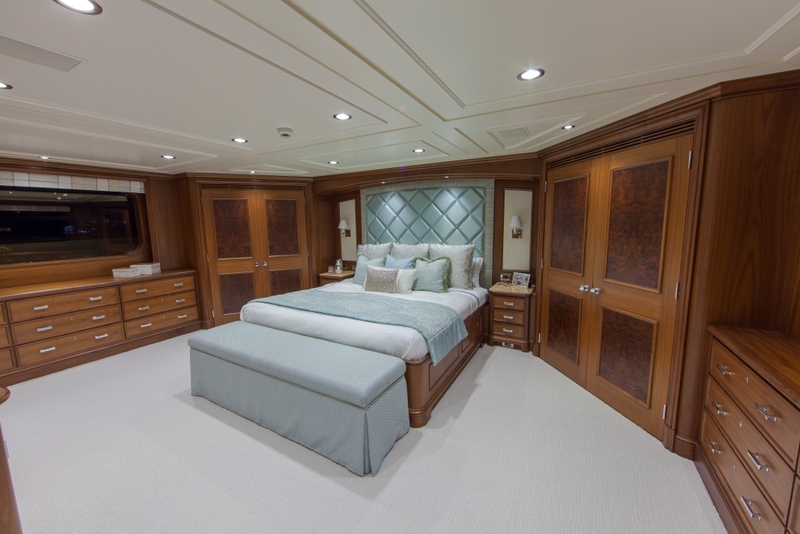 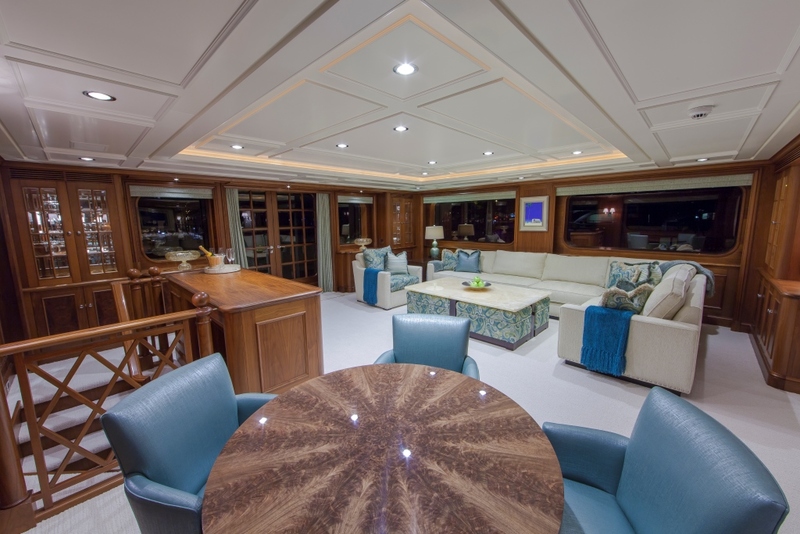 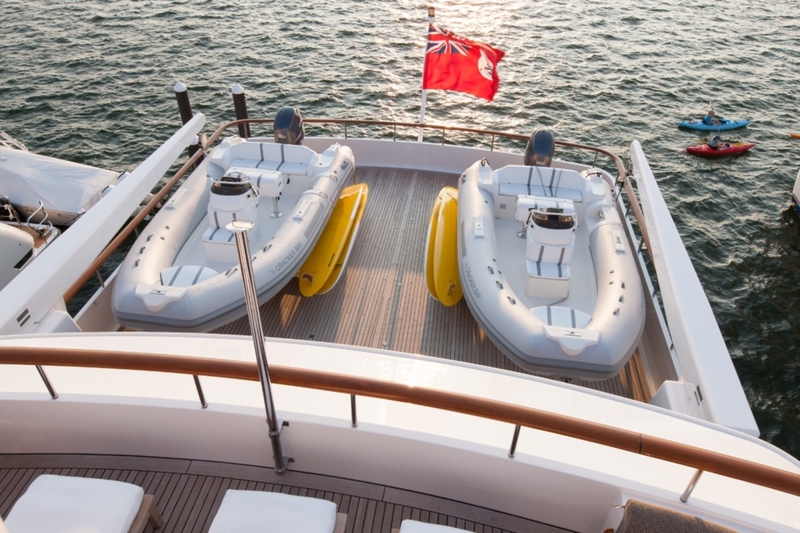 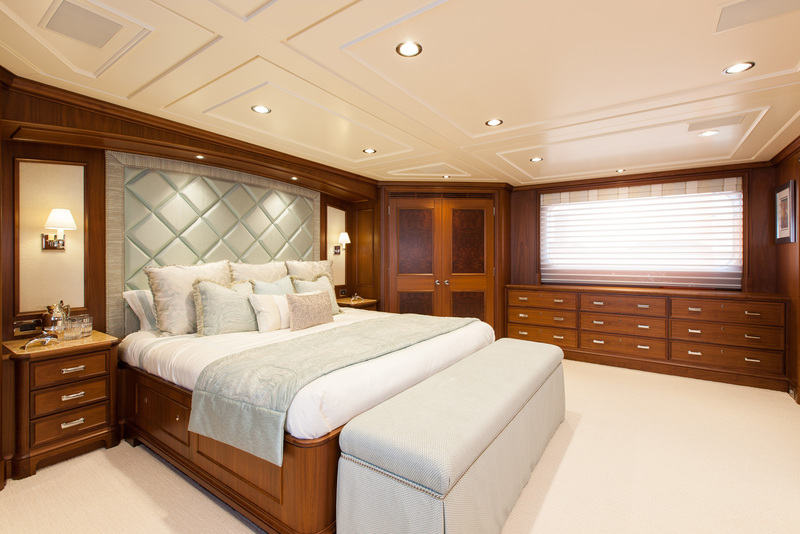 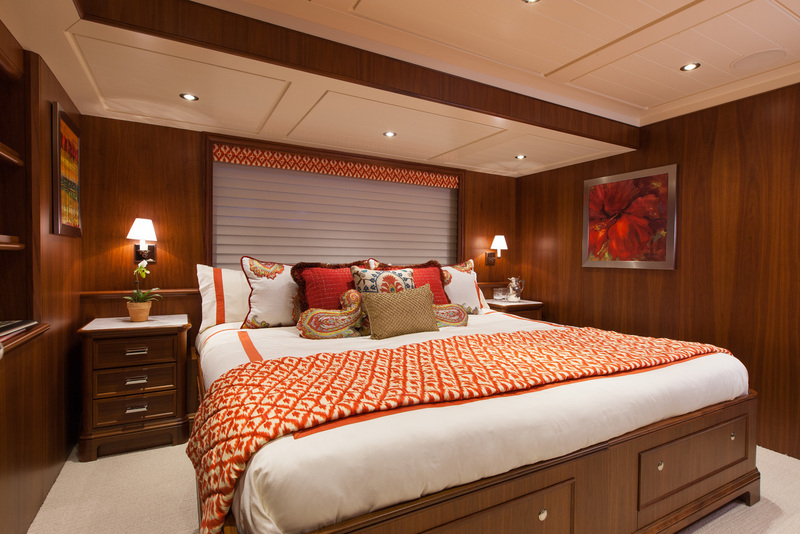 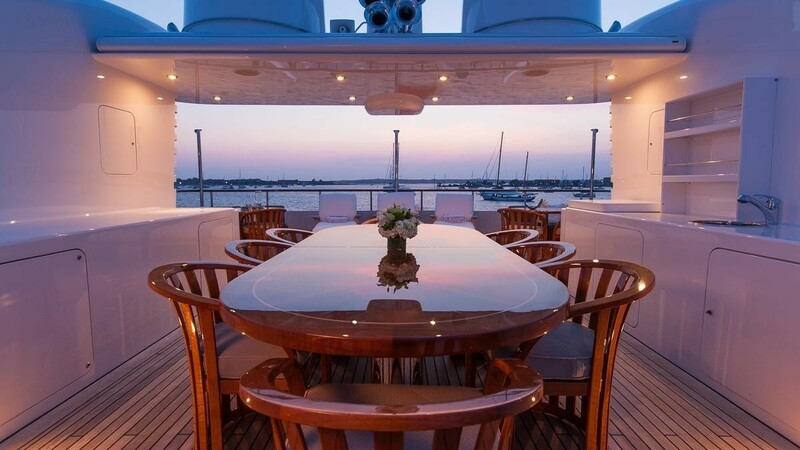 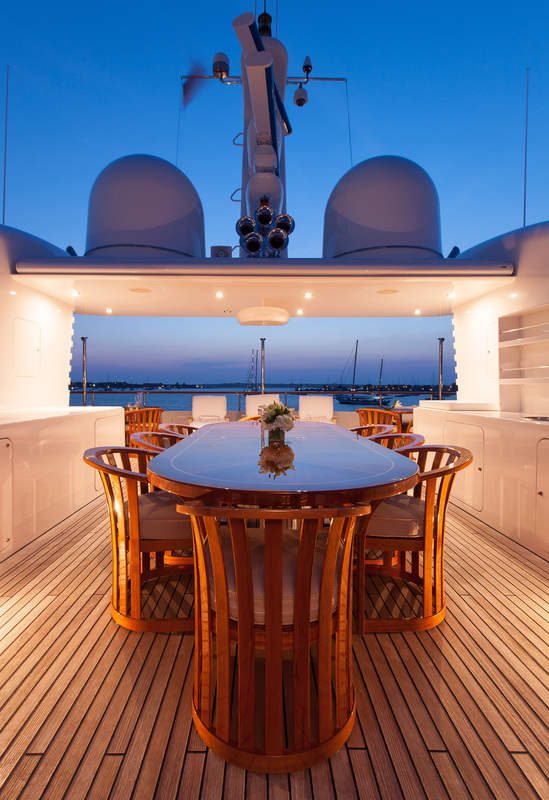 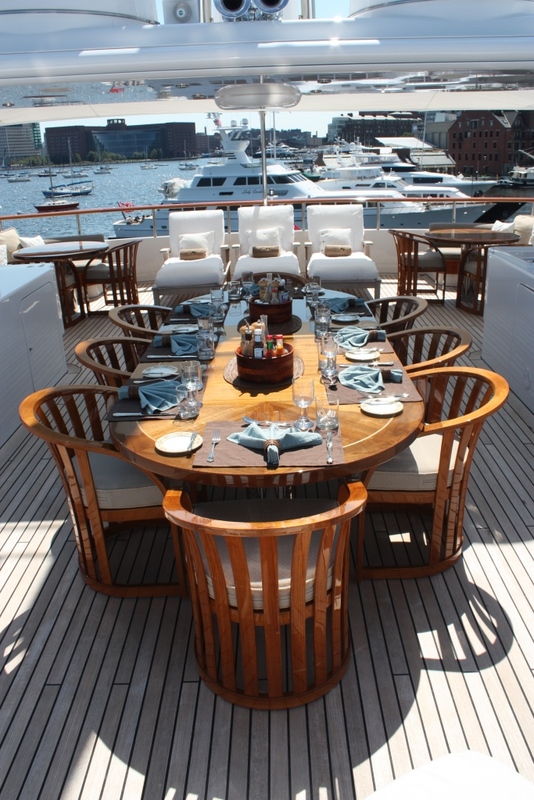 Charter yacht CRACKER BAY features a contemporary interior décor by Andrew Winch. 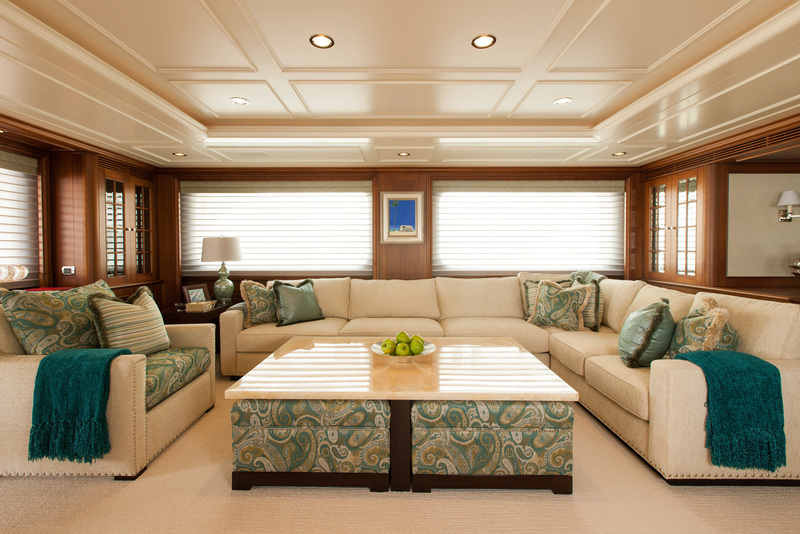 The main salon offers a large L shaped sofa, occasional chair, coffee table and games table. 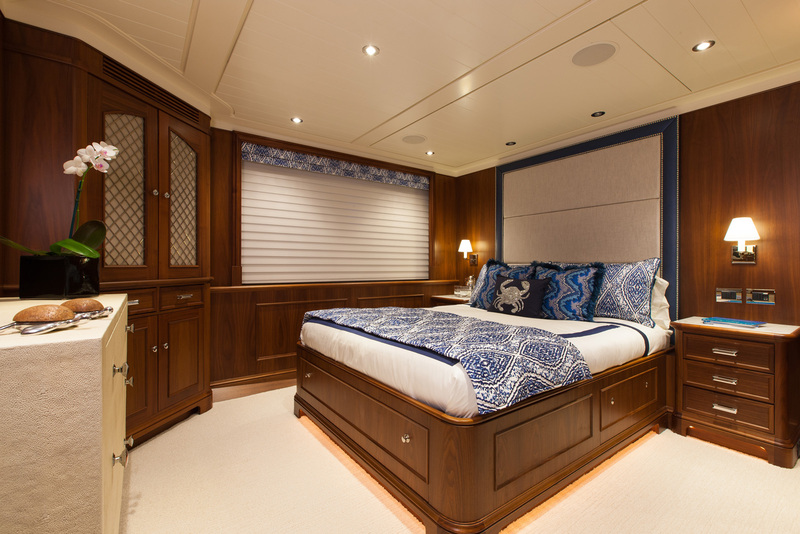 Neutral tones are accented with cool blue paisley fabrics, creating a soothing and elegant ambience. 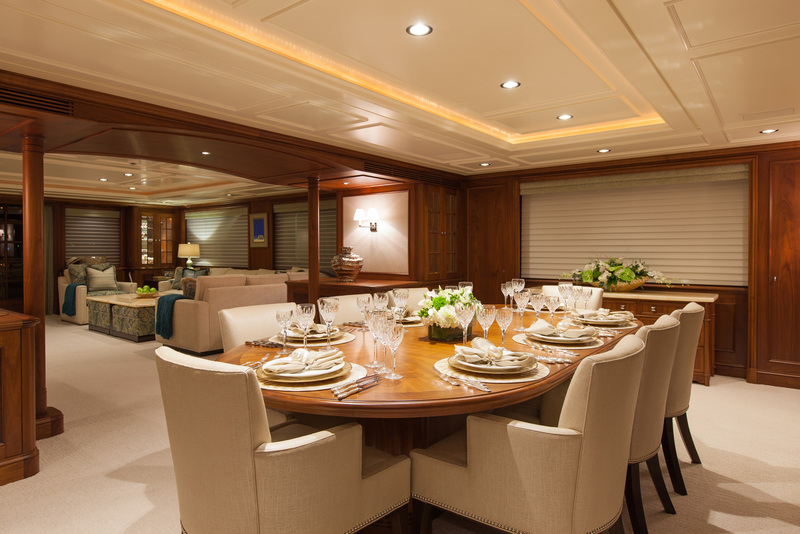 Forward of the open plan salon is the formal dining table seating 12 guests with ease. 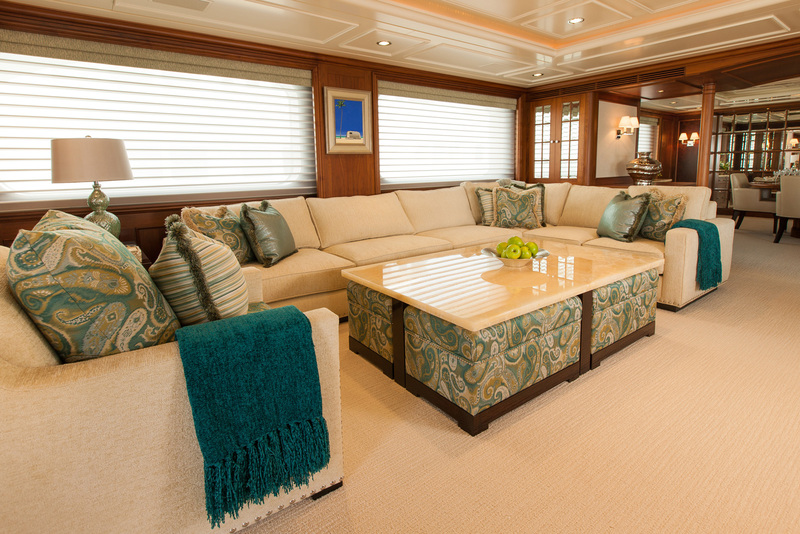 An upper salon has a casual atmosphere, offering a large L shaped sofa, coffee table, games table and wet bar. 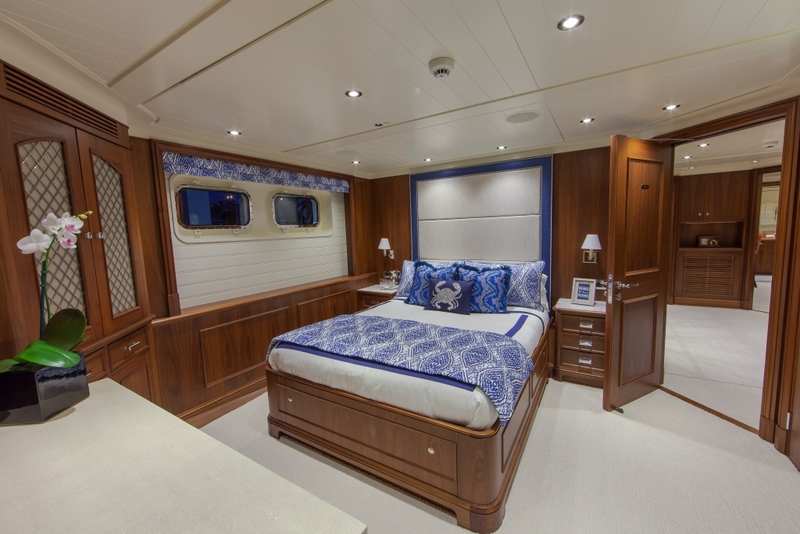 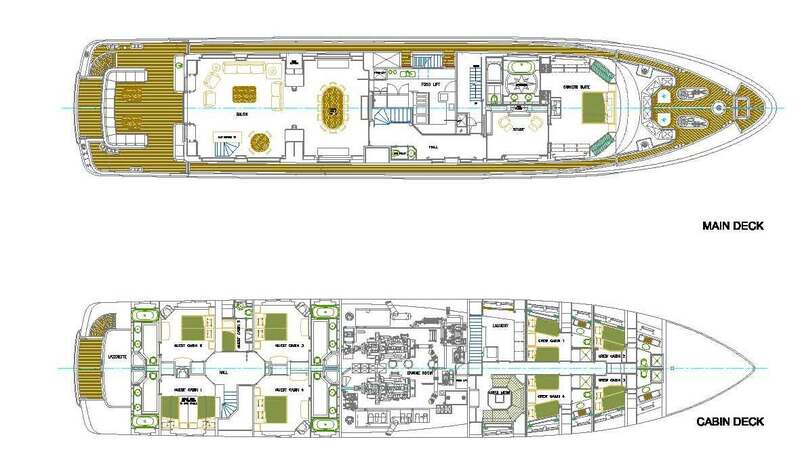 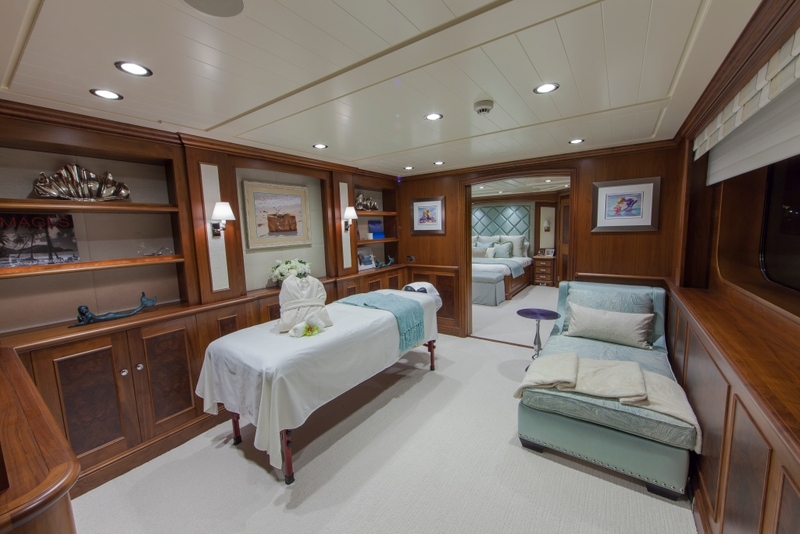 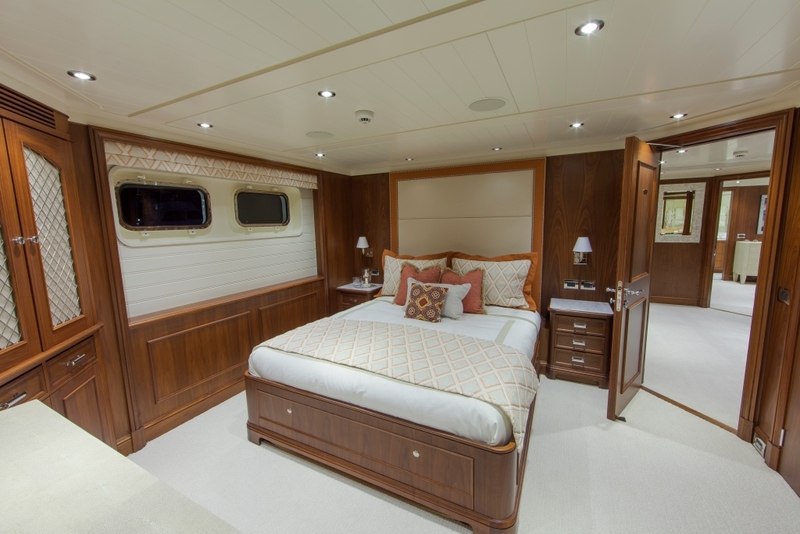 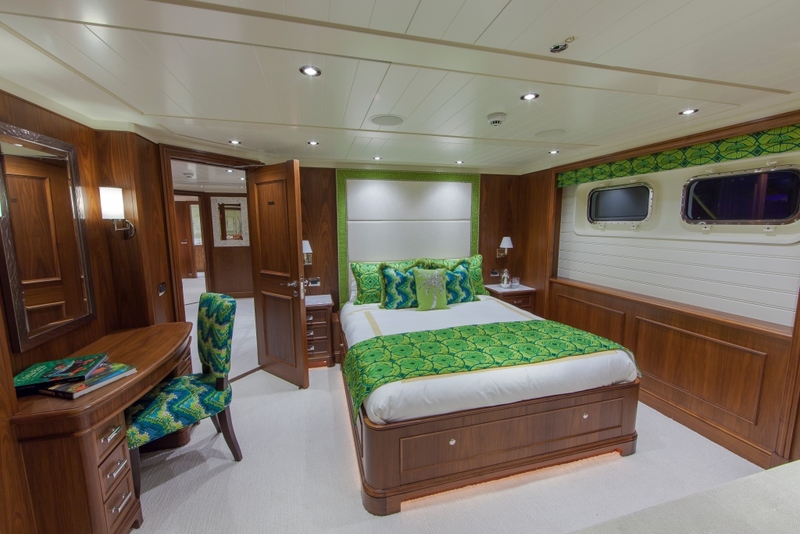 On the main deck forward is the master cabin, featuring a full beam layout, king size bed, his and hers wardrobes, private study and lounge and generous en-suite. 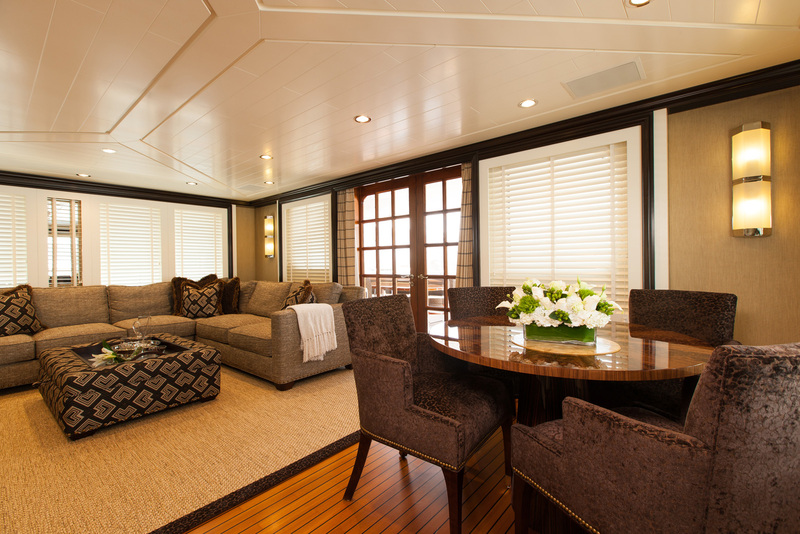 The lower deck has a further 3 double guest cabins, one convertible king to twin cabin, plus a bunk cabin with upper and lower berths. 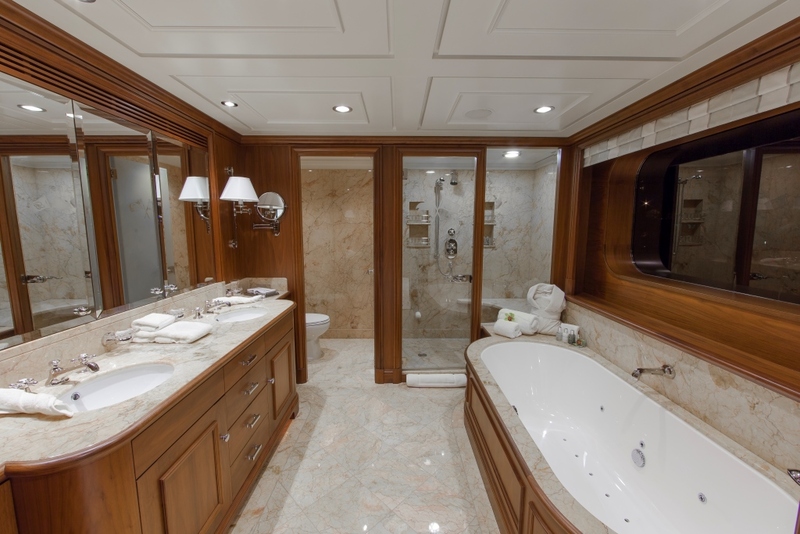 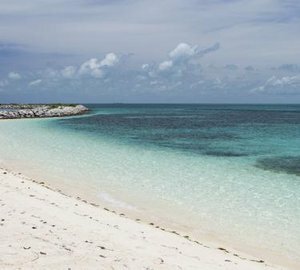 All guest accommodation aboard the M/Y CRACKER BAY boasts en-suite facilities and full entertainment systems. 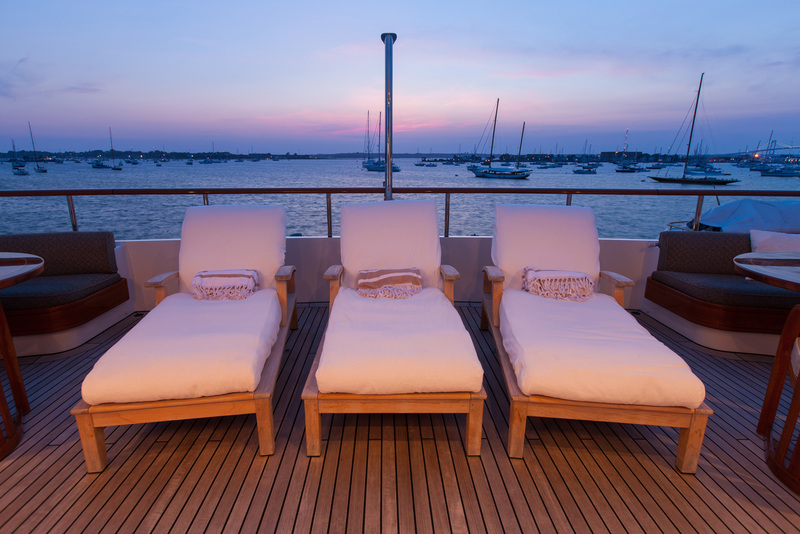 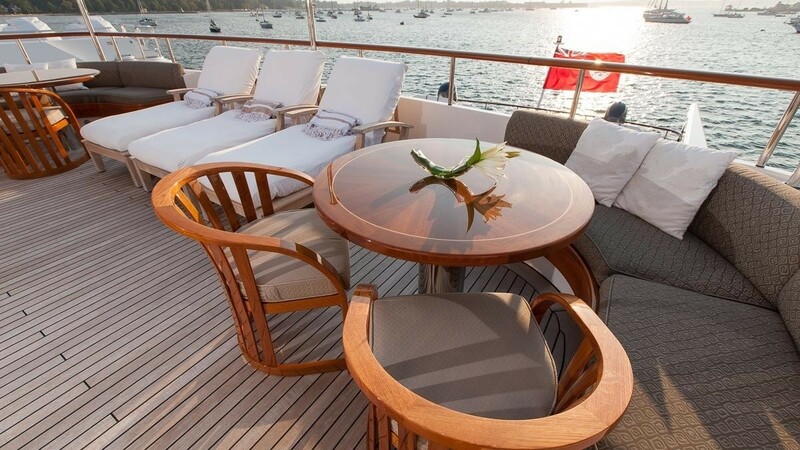 CRACKER BAY has ample exterior living, on 3 well-appointed teak decks. 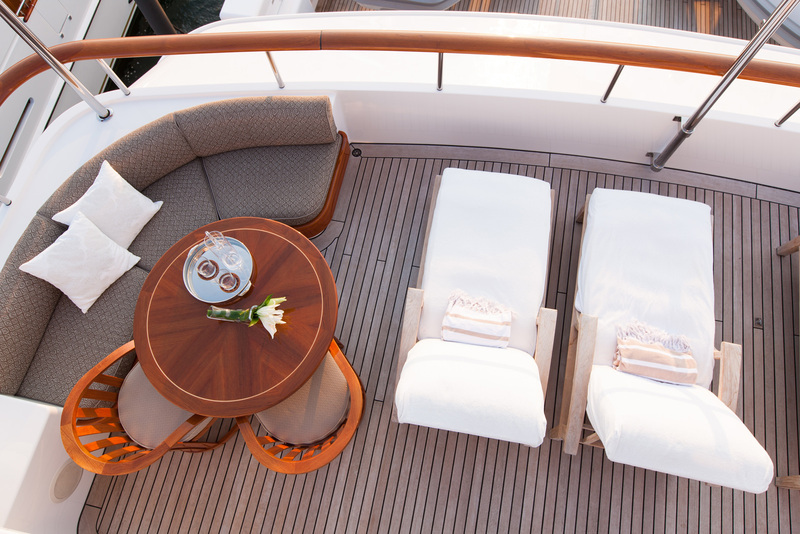 The main deck features direct access to the salon, shade, seating and an alfresco dining option. 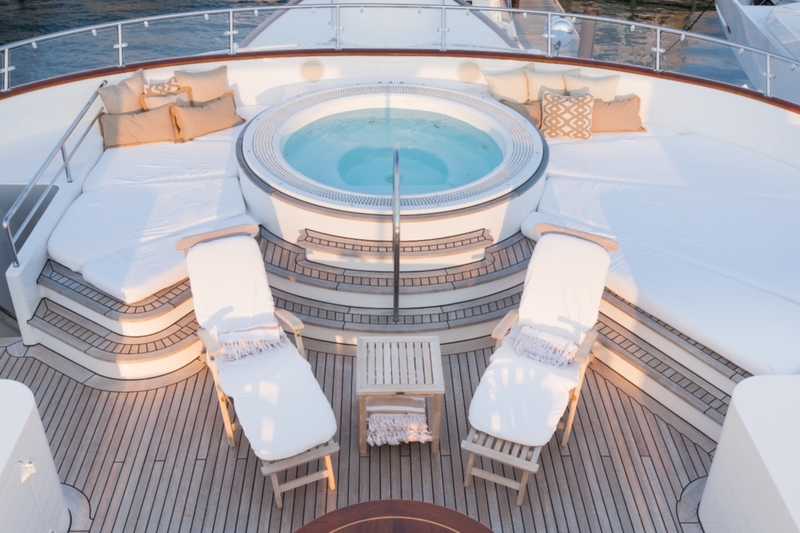 On the port side, a sweeping staircase leads to the large swim platform and water toys. 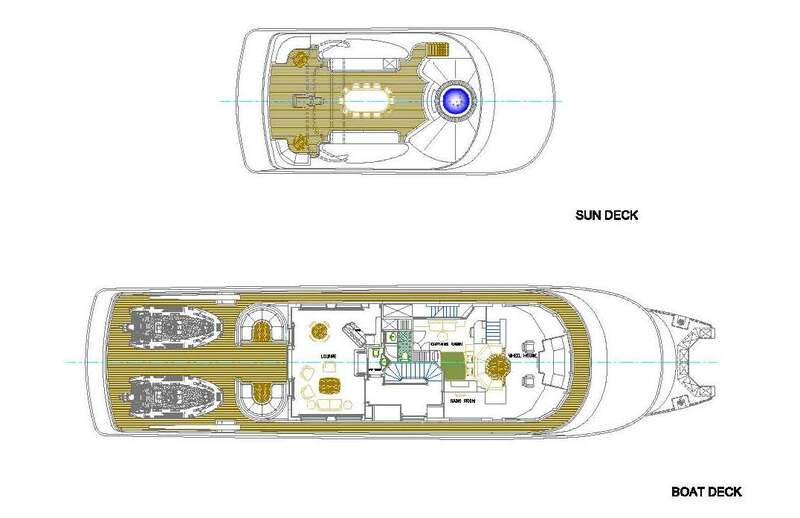 The upper deck is adjacent to the upper salon and boasts opposing seating and shade. 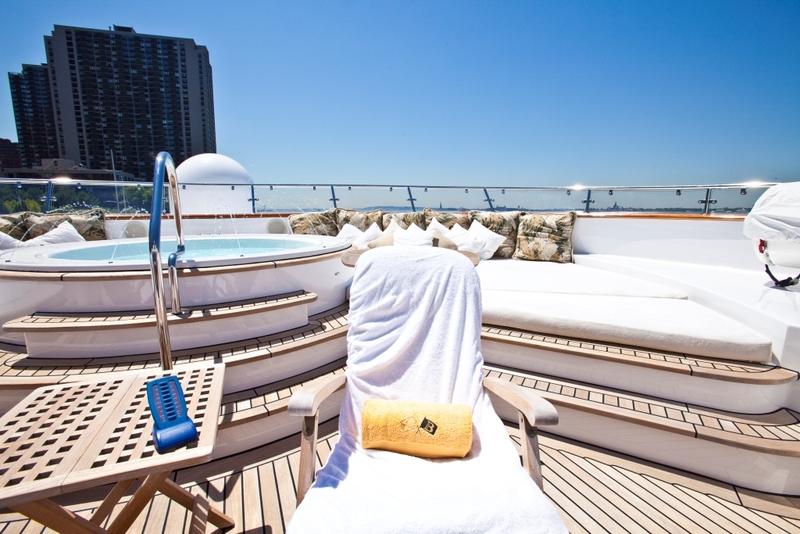 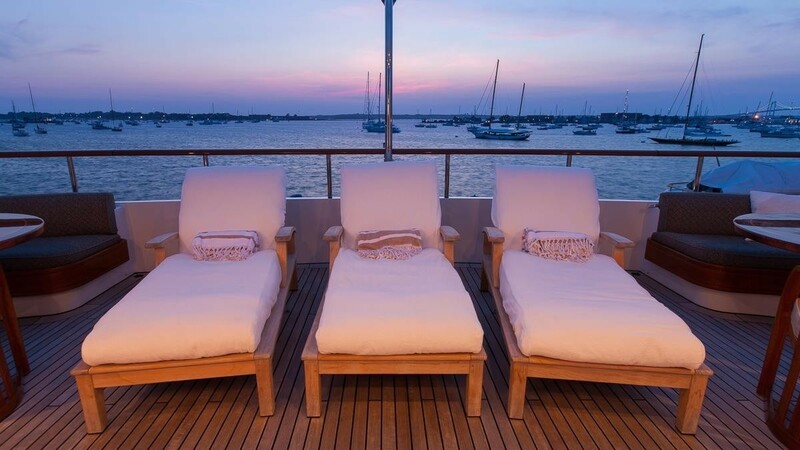 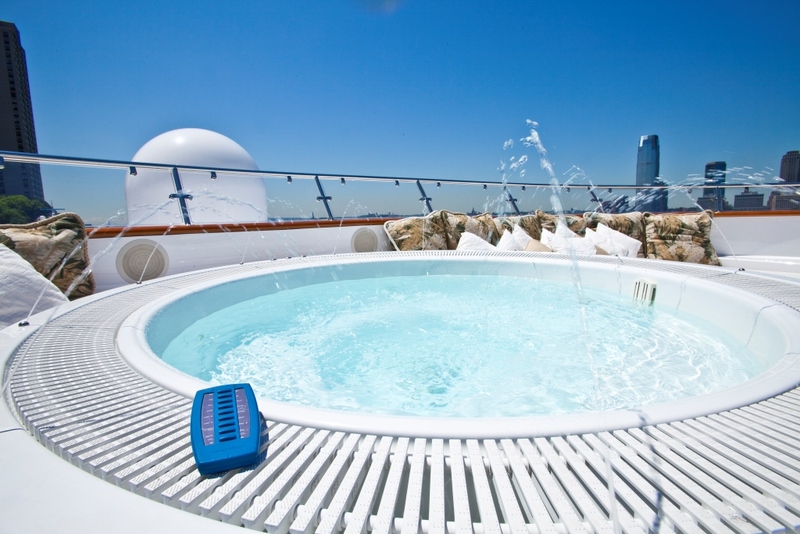 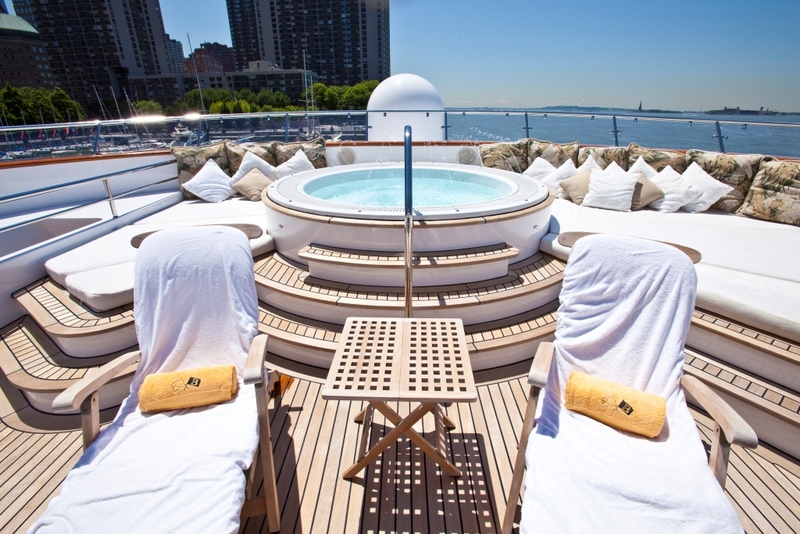 The upper deck is ideal for socializing and soaking up the sun, offering chaise lounges, an alfresco dining table, cocktail tables with seating, wet bar, deluxe Jacuzzi with surrounding sunpads and spectacular views. 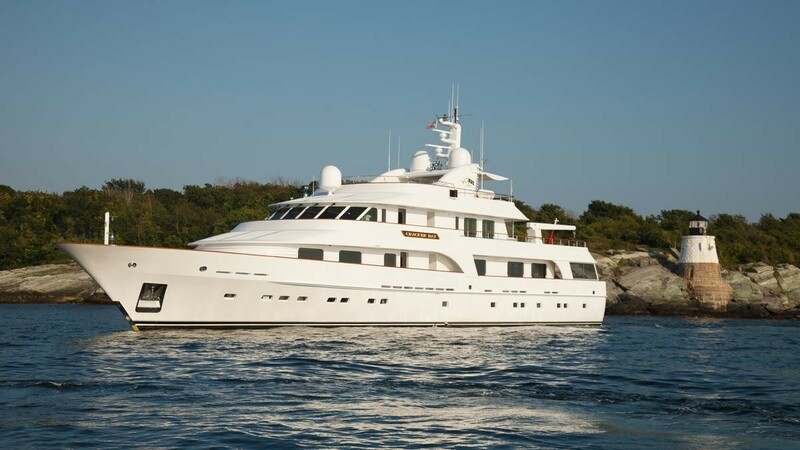 Powered by 2 x CAT 970hp engines, motor yacht CRACKER BAY cruises at 12 knots and has top speeds of 14 knots. 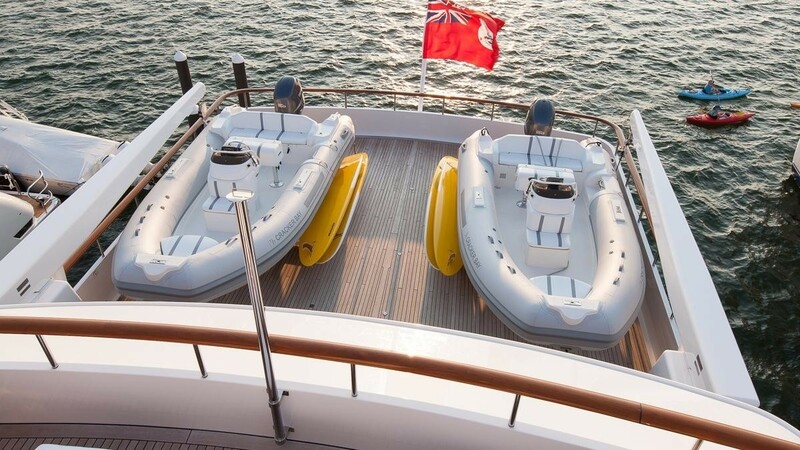 She is fitted with both at anchor and underway stabilizers, ensuring optimum comfort at sea and anchor. 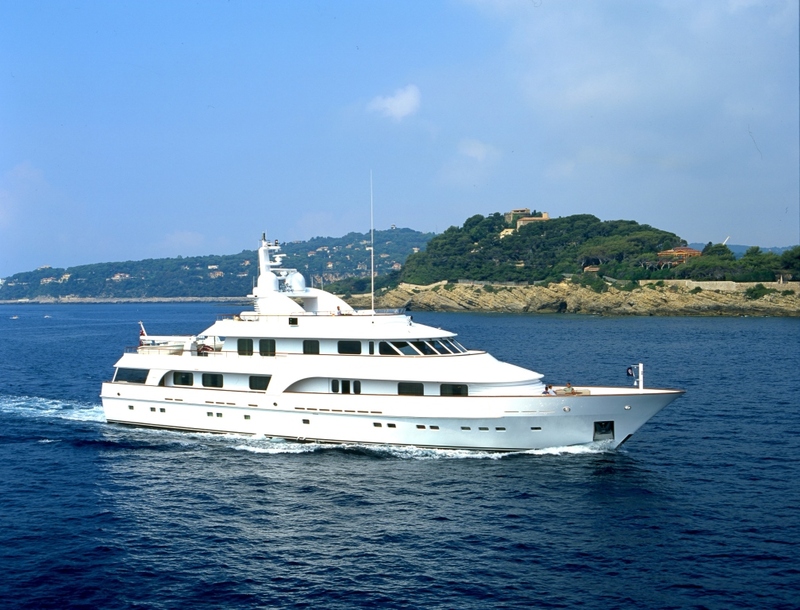 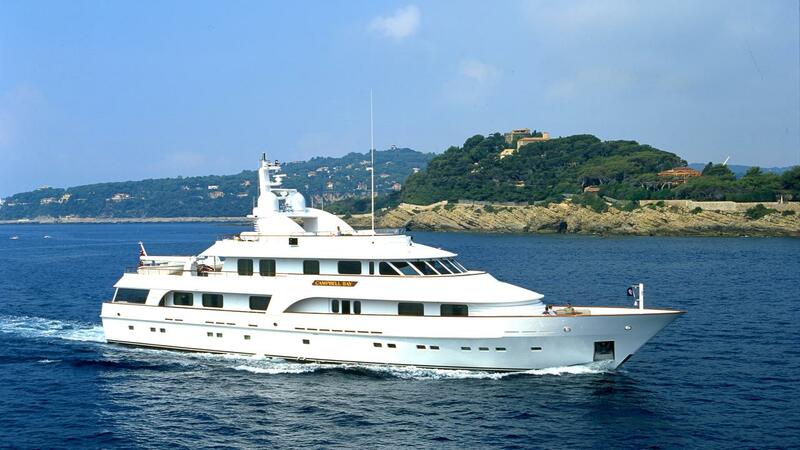 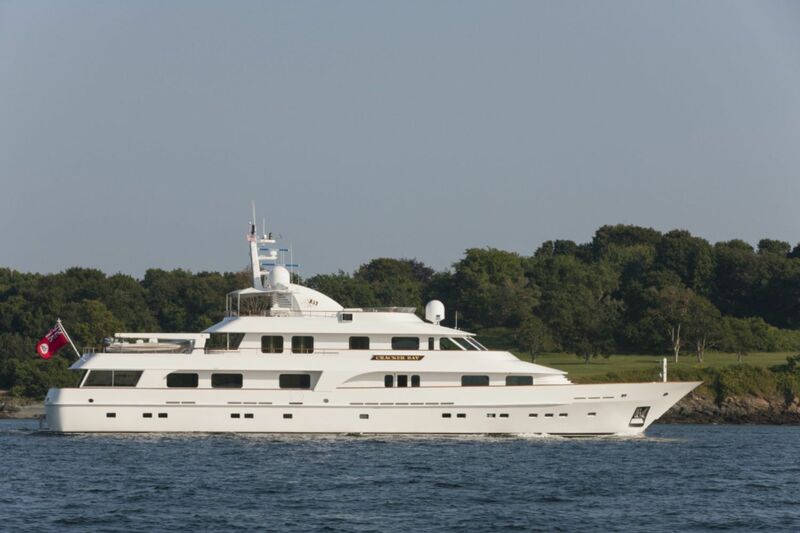 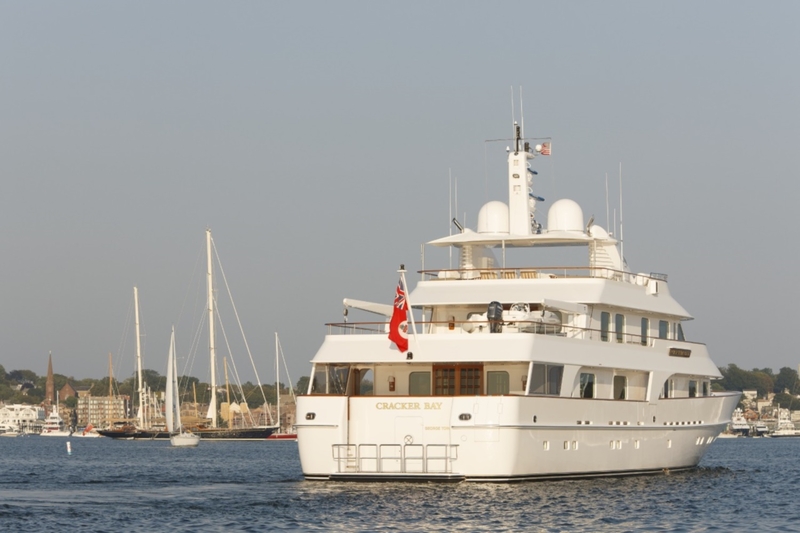 Luxury motor yacht CRACKER BAY can accommodate up to 12 charter guests, in 6 en-suite cabins. 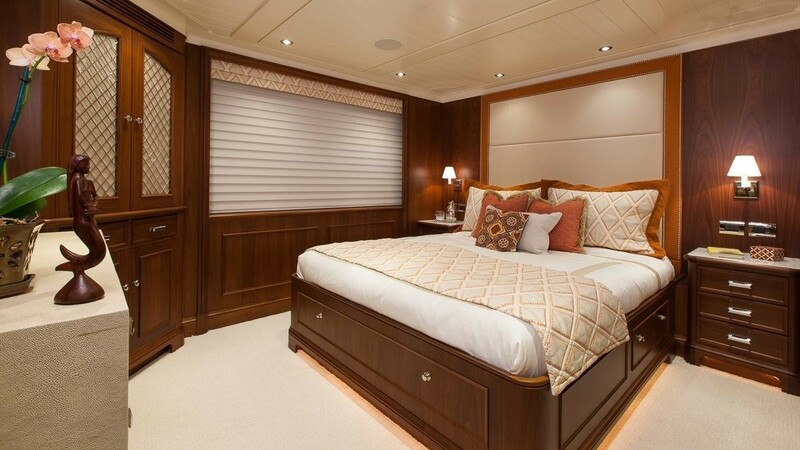 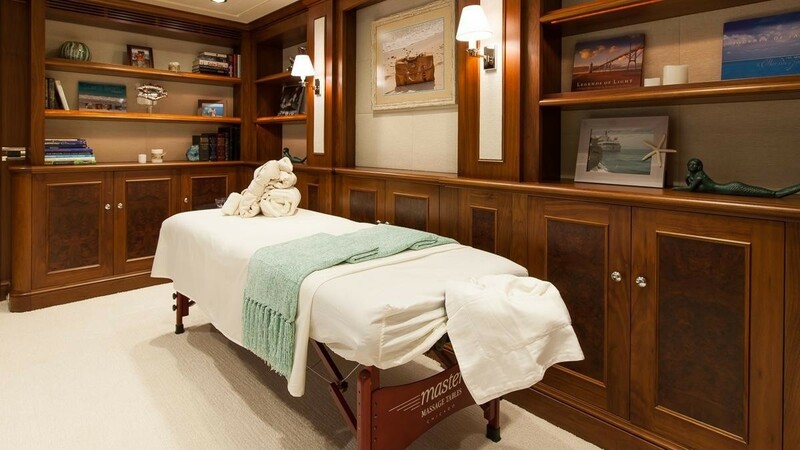 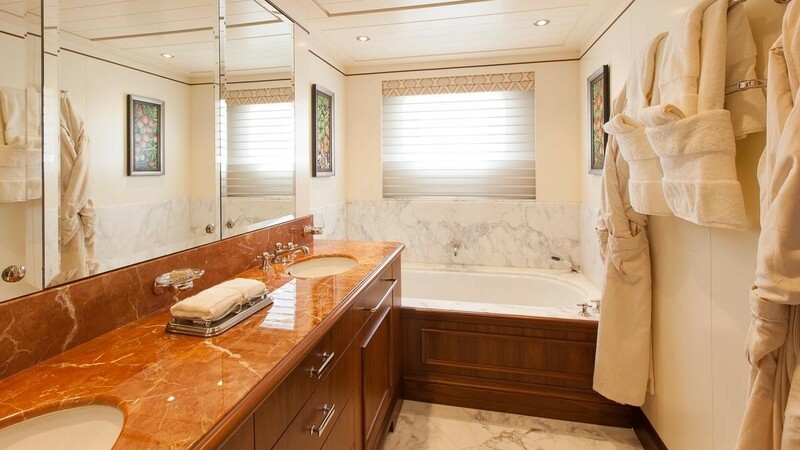 The master stateroom is on the main deck forward and full beam of the yacht, with a king size center lined bed, 2 wardrobes, private study/lounge and generous en-suite with tub and shower. 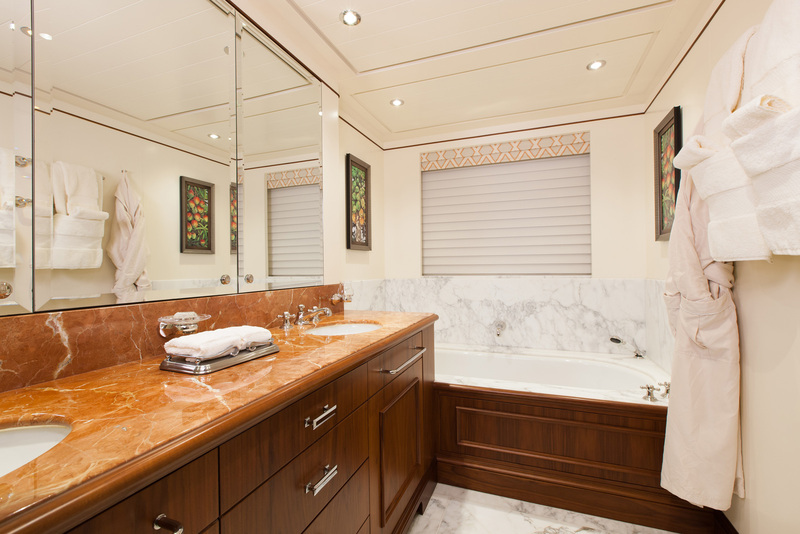 On the lower deck 3 guest cabins have queen size beds and en-suite facilities with both tub, shower and twin sinks. 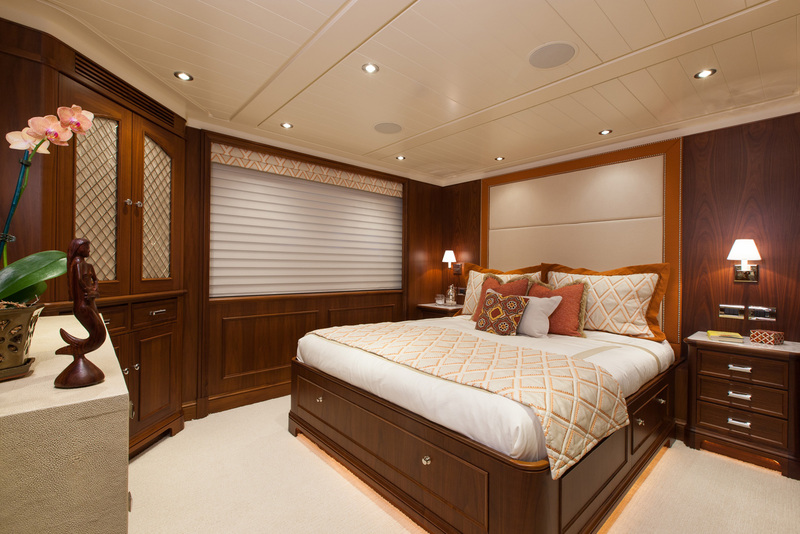 One cabin has side by side twins that convert to one king cabin upon request. 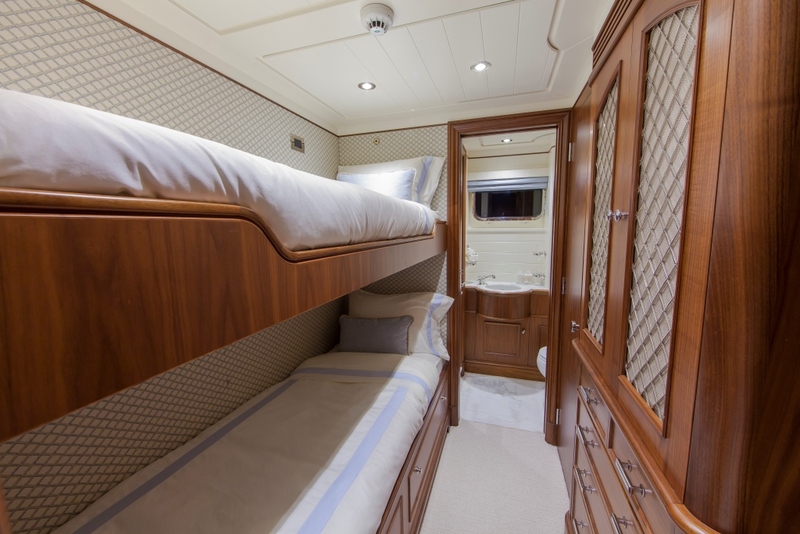 A further cabin offers upper and lower bunk beds. 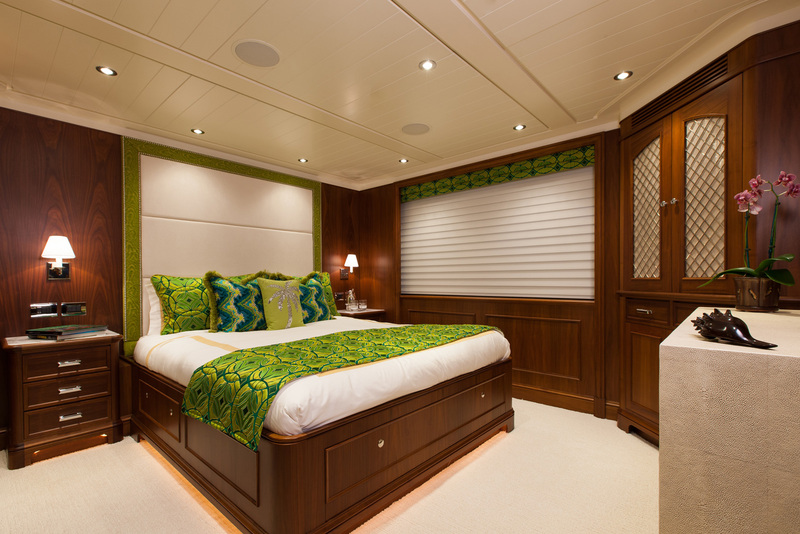 All guest cabins are light airy and feature a contemporary décor, each cabin boasts full entertainment systems.